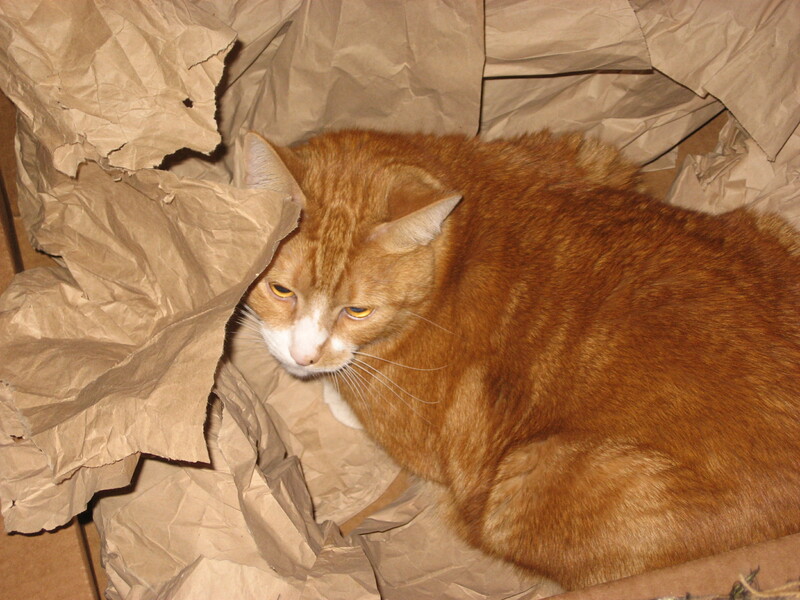 11 years ago we adopted an orange tabby from the SPCA. Boy was he ever glad to be out of his kennel (The first day). We took him home to a beautiful surroundings that had an upstairs and down stairs made for a wild mountain lion. Upon the second night of getting familiar with the new kitten, he had changed. While this little 5 or 6 week old kitten was standing on the bathroom sink, I went to pick him up and “bond” with him. He arched his little back like a Halloween cat and hissed like a Cobra. He did the same to my wife. We both stared at each other in disbelief. If you adopt a pet from a rescue agency like animal control or the SPCA. 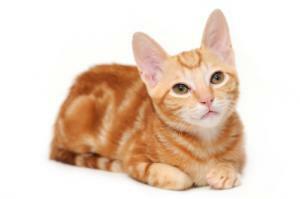 Should you return the pet for “behavioral” issues; you are sending that pet to death row. So being the responsible pet owners that we wanted to be, we kept hope that the kitten would change. We figured a new environment would just take some getting used to. One can surely hope can’t they? He did warm up to my wife but only on his terms. For 11 years, this animal was the “problem child”. Any other less responsible pet owner would have sent him back or as time went by, just had him euthanized. We live in a culture that refers to “abortion” as “Having it taken care of”. Your pet or baby becomes an “it”. It’s so easy to just “Tap out”. I considered the tabby my penitence. Sometimes God puts aggravation into your life to see how you will respond to it. I can assure you that coming home from a long day on the road only to find that the Nike bag you left on your office floor got urinated on will test your will and emotional strength. There were more than several times when one of us would say to the other, if you want to take him down and have him put to sleep, just don’t tell me about it. But for the reason of knowing right from wrong, putting up with this source of aggravation built a certain type of character. I’ve never considered character an emotion, however; it did develop a certain hidden emotion. Hate is an emotion. The opposite of love is NOT hate; it’s indifference. Sometimes indifference is a survival tool be it long term or situational. Today; after 11 years of trying to show love for this difficult tabby, it came time to put him to sleep due to a terminal illness. This was the first euthanasia of a pet I had witnessed since I had to put “My Gool ol’ Max Dog” down 11 years ago. That tore me up. In 2005 I had spontaneous crying attacks just driving down the road. I would be in the shower and realize that my shadow of 9 years was gone and I would lean my head against the shower tile and cry. I would see one of his favorite toys in “PetSmart” and get choked up. Since then, my wife has taken our first two cats in by herself as I just couldn’t/wouldn’t do it. But for some reason, as much as I disliked this cat, I forced myself to treat it humane; I felt I had to be there for his last goodbye. I don’t know if it was repressed and released memories of 2005 or perhaps a ball of anger, frustration and self-imposed control; but I started to tear up when I closed his eyes for the last time. I felt he needed someone to show him love one last time. This is the essence of true love. It’s the principle of first century Christianity; showing love to someone or thing that needs it regardless of your feelings for it.